I was staying at the Maison Sofia Hotel which was a 30 minute walk from the meeting point at Alexander Nevsky Cathedral. On the other hand, you could stay at the historic Sofia Balkan Hotel which is a short walk away. Whichever hotel you choose it’s worth setting off a little early to the meeting point as you can photograph many of the points of interest of Sofia early morning without crowds of people. 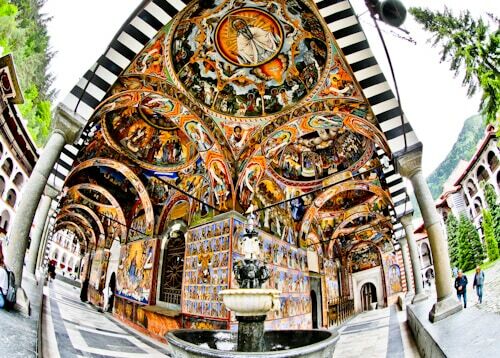 The meeting point for the day trip to Rila Monastery is behind the Alexander Nevsky Cathedral at 8.45 am. I recommend arriving a little early to ensure a better selection of seats on the bus. Additionally, you can arrange a hotel pick up which is an extra €10 per person as well as €5 per person for drop off. Consequently it’s much better value to be at the meeting point at 8.45 am. The bus has good legroom as well as being modern. It’s clearly marked with the green Traventuria logos so it’s easily identifiable. 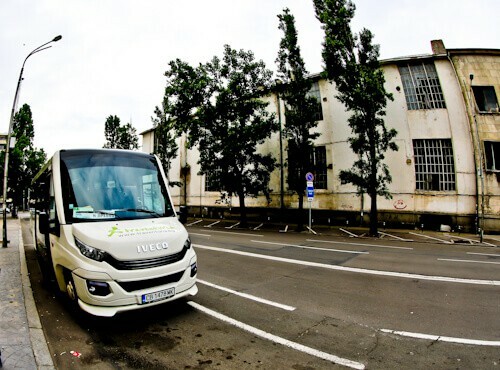 In addition, the driver and guides wear green Traventuria jackets so they are always visible which is useful when you arrive in the morning! Furthermore the bus offers complimentary WiFi as well as phone chargers so you won’t run out of battery during the trip. 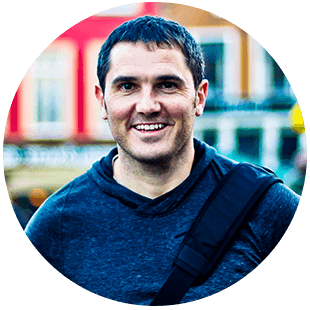 The friendly, English speaking guide gives information through the microphone, but most importantly listens to any questions or queries you might have. 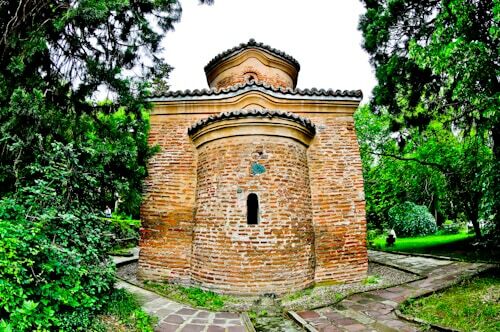 Boyana church was built through different eras which is evident in its appearance. It contains architecture from the 11th century as well as the 13th and 19th centuries. In addition to viewing the church exterior, it’s worth taking a walk around the gardens. 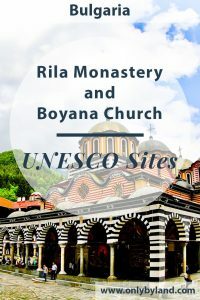 To enter the interior of the Boyana church you must pay an additional €5 which is not included in the tour fee. The interior contains frescoes dating back to the 11th-12th century. Accordingly, the church became a UNESCO site because of these frescoes. There is strictly no photography allowed inside the church and you’ll be watched like a hawk! The best way to enjoy the frescoes is to listen to the guides explanations and forget about taking a photo. If the main reason for your visit to the church is to take pictures of the frescoes however, I recommend you skip it. 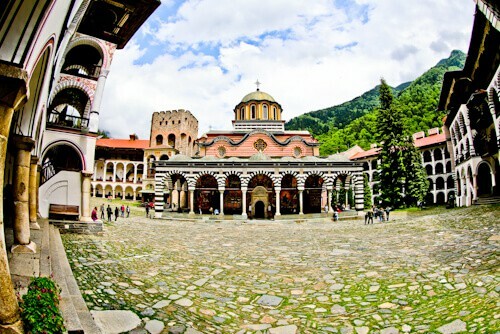 Rila Monastery is abbreviated from the Monastery of St John of Rila. It’s named after its founder, the hermit, St John of Rila. The hermit, St John of Rila lived in a cave nearby whilst the monastery was built by his students. The complex you see today is completely different and contains much more than the 10th century monastery. It’s free to enter the grounds as well as the church but there is a small fee to enter a museum which contains Rafail’s Cross. Unfortunately you’re not permitted to enter the 4 storey residential part which surrounds the church, although it’s worth a try. 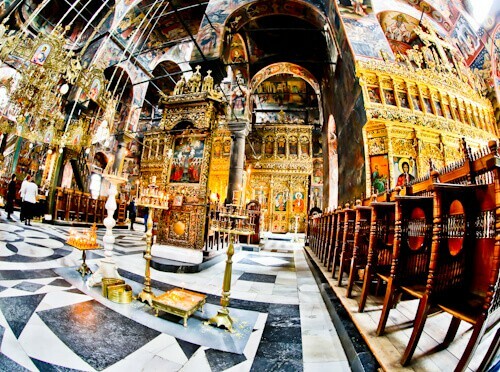 The church is the largest eastern orthodox church in Bulgaria. It was built in the 19th century and has been recently restored. For this reason, as well as all the colors and in addition to the mountains in the background, Rila Monastery is quite an Instagrammable location. Additionally there are several external frescoes, some quite humorous. The interior of the monastery is stunning, as well as lots of historic frescoes there are domes and several grand gold alters. 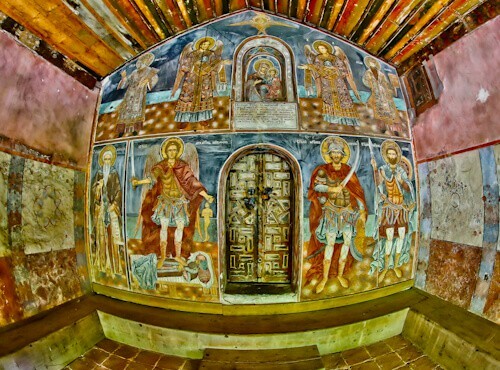 The frescoes were painted by famous Bulgarian artists including the brothers, Zahari Zograf and Dimitar Zograf. It’s important to realise that photos are prohibited inside the monastery. However it’s possible to take a few photos without flash when there is no one watching. The exterior of the church features several frescoes. It’s worth listening to the guides explanation of these frescoes, he’ll point out some which are quite humorous. In additional, the guide will point out the most significant frescoes. Furthermore, the guide explains the history and artefacts you’ll find inside the church. A positive side of the external frescoes is that you’re welcome to take as many photos of them as you wish. Hrelja Tower is the oldest surviving part of Rila Monastery which is in its original state. 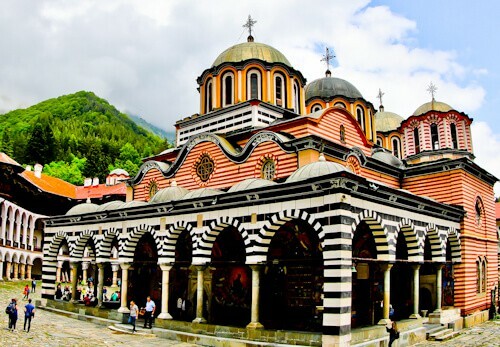 Hrelja Ohmucevic was a lord and he was responsible for reconstructing Rila Monastery in the 14th century. It’s during this period that the tower was added. The purpose of the tower was to defend the monastery as well as protect the monks. As can be seen, it’s not possible to ascend the tower but you may buy souvenirs in the store at the bottom. A short walk from the monastery is a church which hasn’t been restored. It’s worth visiting this church so you can see how the buildings looked before restoration. Additionally there are some interesting frescoes inside this church. As a matter of fact there is a fresco of the hermit, St John of Rila (above left). Furthermore, St John of Rila also features on the back of the Bulgarian 1 lev coin. As you walk down to the old church featuring the fresco of St John of Rila, you must follow a path alongside a waterfall. 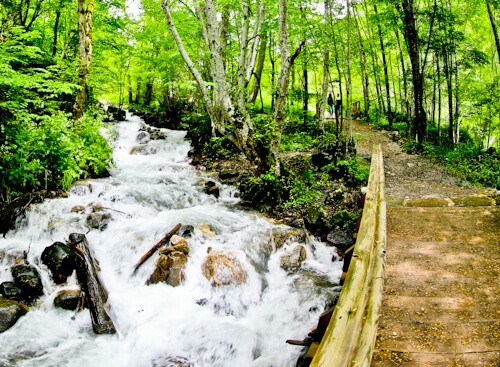 This is a beautiful short walk with lots of greenery as well as the crashing water. If you haven’t taken enough Instagram photos in the monastery, this is the place to take more! 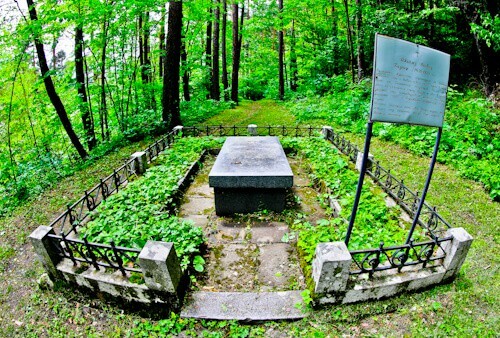 Nextdoor to the monastery is the tomb of James Bourchier, a famous Irish journalist who worked in the Balkans. If you use the Sofia metro you may pass through a station named after him. In addition you can walk 3-4 kms further up the trail to the tomb of St John of Rila. As well as seeing his tomb, the cave he stayed in is also located there. It’s unlikely you’ll get the time to walk to his cave as you’ll be busy exploring the monastery. 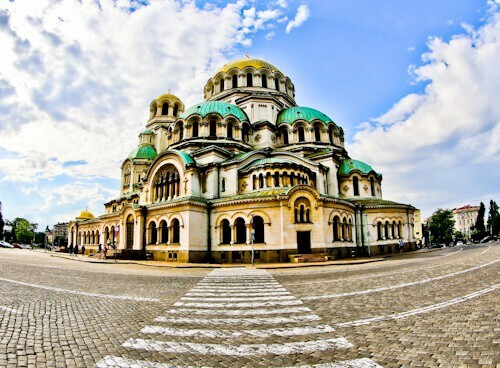 After your trip to to the monastery, the tour bus will take you back to Sofia. The driver may take you to a scenic viewpoint of the mountains on the way back provided that the weather is good. If you have any further questions for the guide, on the way back is a good time to ask them. Your phone battery will probably be low so on the way back is a good time to charge it. Additionally it’s a good time to upload the Facebook and Instagram photos you’ve taken in the monastery. The tour should arrive back at the Alexander Nevsky Cathedral around 5 pm, as a result you’ll have plenty of time to visit this monument as well! This is full of excellent and helpful information. 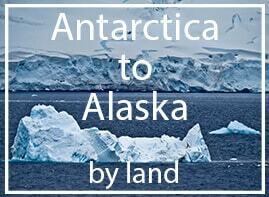 The article is easy to read and gives the most beautiful descriptions about this day trip. The images that illustrate the tourist spots are of highest quality. Thank you for this. It will be of good use to anyone who are contemplating if visiting this area. 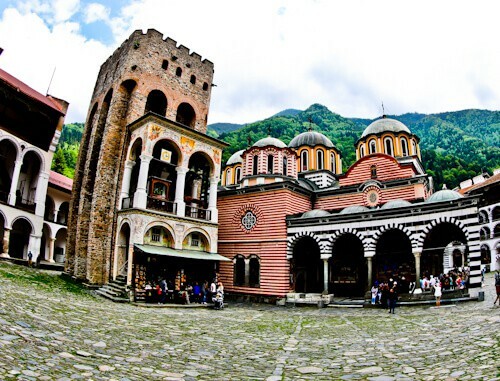 Thanks Duane, Rila Monastery is a worthwhile day trip from Sofia!